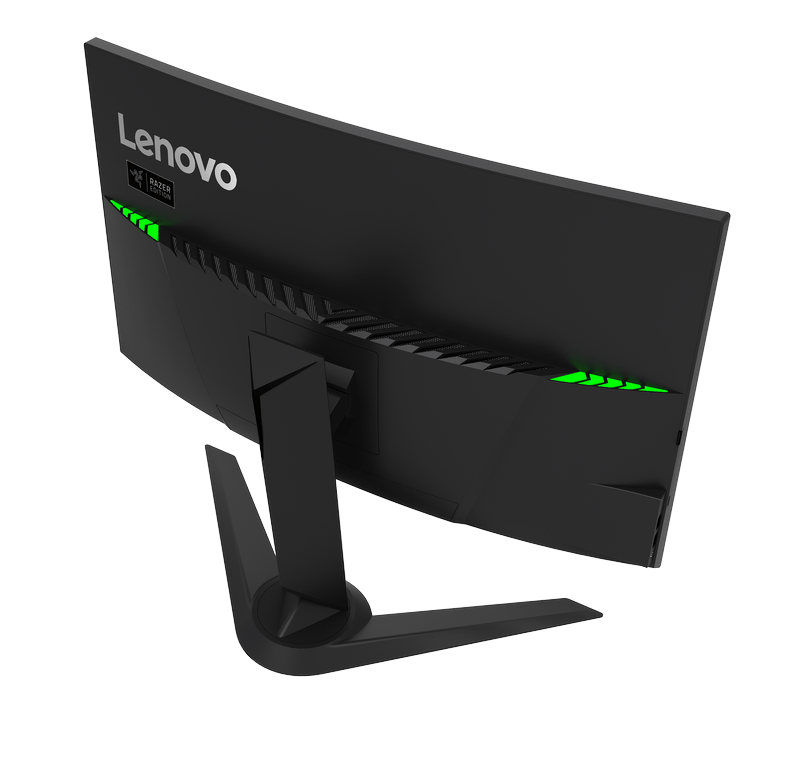 The 27-inch Lenovo Y27G curved gaming monitor offers a fluid and smooth gameplay experience thanks to its 144Hz refresh rate, quick 4ms response time, and G-Sync. 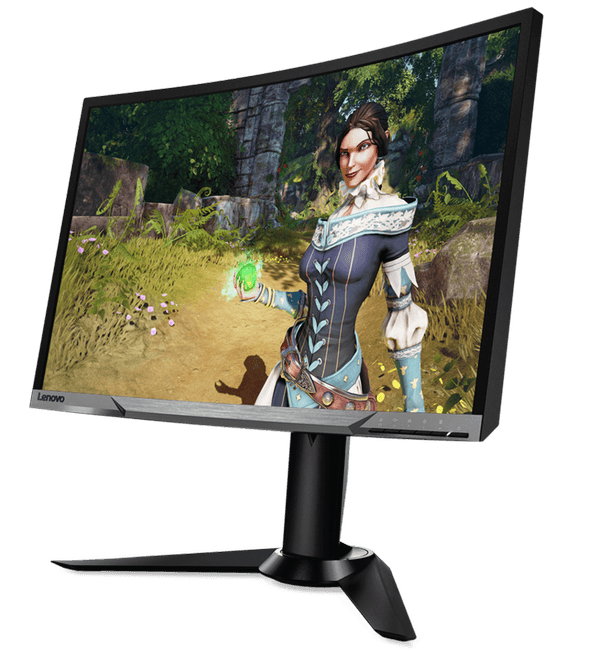 Although the 1080p resolution on a 27-inch monitor may repulse some users due to the somewhat pixelated image quality, gamers can enjoy the advantages of having a lower resolution. Lower resolution will spare your computer’s performance as well as your wallet while still allowing you to enjoy a highly responsive and immersive gaming at 144Hz. Additionally, the high-contrast VA panel delivers a stunning image quality with vivid and deep black tones. 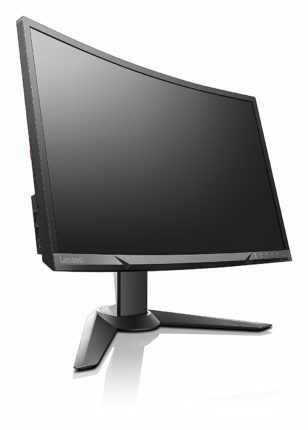 The Lenovo Y27G 1080p display doesn’t differ much from its predecessor, the Lenovo Y27F. They are the same when it comes to the technical aspect such as screen size, resolution, aspect ratio, refresh rate and response time. The only different between the two is the adaptive sync. In the Lenovo Y27G, they have the G-sync technology synchronized with Nvidia. It’s also the reason why the Y27G is a bit pricier than the Y27F. With the Panel type, the Lenovo Y27G display uses Vertical Alignment (VA) which is better than the Twisted Nematic (TN) when it comes to color vividness and image though it’s a bit disappointing that Lenovo didn’t opt for a better upgrade to In-Plane Switching (IPS). However, nowadays VA panel monitors do deliver the same flawless 178-degree viewing angles as the IPS. The response time is also faster than it used to be, although, in comparison to the TN, there is some blurring of the fast moving objects in the competitive gaming. When it comes to color accuracy, the IPS panel still dominates over the VA whereas VA panels have a better contrast ratio for a superior relation between the darkest and brightest colors. Lenovo Y27G stayed true to their promise that they will give every gamer the best gaming experience by having a big screen and an image quality that is rich in color and sharpness. The R1800 curve wide-view angle offers immersive viewing experience both for gaming, movie watching, and video editing. The curve viewing can reach up to an angle of 78-degrees. It is also the missing piece for the multi-monitor setup since the Lenovo Y27G G-Sync monitor can be the perfect fit for the centerpiece. The resolution which is 1920 x 1080 is a bit disappointing though since this year’s emergence of computer monitors that offer 4k to 5k resolutions. So if you’re looking for a monitor that you plan to keep longer without upgrading for a few more years maybe 1920 x 1080 monitor resolution is not for you for this screen resolution would be deemed obsolete in the years to come. But for those who are ok with some good graphics and richness in color, you might want to consider it because the contrast ratio of Y27G is at 3000:1. It is best for playing dark themed RPG or FPS games. The total gaming experience is awesome, and the G-sync technology synchronized with Nvidia proves to be powerful when it comes to powering the refresh rate of 144Hz which is considered the topmost refresh rate to enjoy games that require a minimum 100 to 120 Hz. The good thing about the 1920 x 1080 screen resolution is that the G-sync becomes more powerful for this resolution type that we can expect lesser screen stuttering and tearing. Refresh rate can even go beyond the 144Hz threshold and can reach up to 146Hz. The swivel range can go from -30 to 30 degrees and tilt from -5 to 30 degrees. 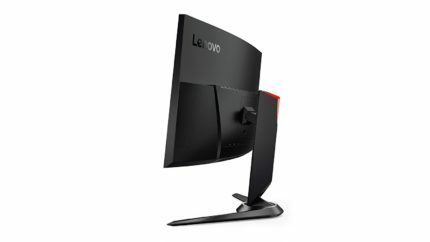 The curve design of the Lenovo Y27F is also the perfect centerpiece if you have a multi-monitor setup. Another good thing about Lenovo is they make sure that all their products adhere to the standard set and promulgated by RoHS and REACH. Meaning, all the parts underwent quality check and are compliant with the international regulations and standards. It is also environment-friendly so your girlfriend won’t be mad at you for only playing games and not saving the environment. The connective interface of Lenovo Y27G VA monitor are built-in Display port 1.2 for multiple input sources, HDMI 1.4, USB 3.0 hub with BC 1.2 which is another reason to thank Lenovo. USB 3.0 means faster USB source reading or faster mobile devices and other units charging. It also has a headphone/microphone jack, and an anti-theft system powered by Kensington lock slot. 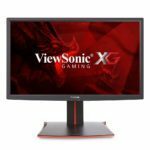 The Lenovo Y27G price amounts to $500 at the moment (May 2017) which is an excellent deal for a G-Sync gaming monitor with 144Hz refresh rate alone. Moreover, the monitor features a stylish design and the VA panel with stellar image quality, the only downside being the 1080p resolution. Given the fact that 1440p 144Hz G-Sync monitors such as the ASUS ROG SWIFT PG278Q cost up to $250 more and that the computer gear for 1440p is more demanding, the Lenovo Y27G is a great budget-friendlier option for those with G-Sync compatible graphics card. Folks with FreeSync compatible GPUs should opt for the Lenovo Y27F which is $100 cheaper at the moment. The overall gaming experience based on this Lenovo Y27G review is average and pretty decent for a good gaming experience. Lenovo seemed to target the middle-level gaming public so they didn’t upgrade the Lenovo Y27F 144Hz gaming monitor so much. The winning part of this monitor though is the synchronization of the G-sync technology to the 1920 x 1080 screen resolution. The adaptive sync technology, G-sync is just too powerful for the resolution and GPU that gamers would enjoy the smoothest gaming experience. Lenovo Y27G has not much difference from its predecessor, the Lenovo Y27F, aside from the adaptive sync upgrade from FreeSync to G-sync. However, it generally performs better, and it is one of the best catch for a standard gaming monitor. It is Lenovo’s best gaming monitor yet at a reasonable price.